A war cemetery in Normandy, France. It’s the 70th anniversary of the D-Day landings in Normandy this year, which will be commemorated in a variety of major events between June and the end of August. The Battle of Normandy was one of history’s largest amphibious military assaults and ultimately resulted in the Allied liberation of Western Europe from Nazi Germany. Numerous river-cruise companies are offering commemoration cruises during this historic year, so here’s a quick round-up should you be interested in WWII history and the 2014 commemorations. You have a choice of two special ‘D-Day Remembered’ excursions, both starting with a visit to Arromanches, then heading either to the US Sector (including the D-Day Museum, Omaha Beach and the war cemetery) or the British and Canadian Sectors, including Gold and Juno beaches and the two countries’ war cemeteries. On board AmaLegro, WWII-themed movies will be shown on the in-cabin televisions. All departures on Avalon’s Normandy cruises this year offer a full day exploring the landing beaches and nearby sites, museums and memorials. The excursions are geared primarily towards the American, British and Canadian landing operations (Australian forces were deployed mainly elsewhere in Europe and North Africa at this time during the war). In most cases guests are able to choose between two variations of the excursion – an American focus, or a Commonwealth focus. The Commonwealth excursion starts with a visit to Pegasus Bridge where the first British Paratroopers landed on the night of June 5th. This is followed by a visit to Ranville British Cemetery. Passengers then head out to Juno Beach which is the major Canadian Landing Area where they visit the major Canadian Museum with exhibits and explanations. Passengers have lunch in Arromanches and then visit the Canadian Cemetery in Berney Sur Mer before returning to the ship. The American excursion visits key beaches such as Utah and Omaha beaches, as well as the D-Day Landing Museum at Arromanches. 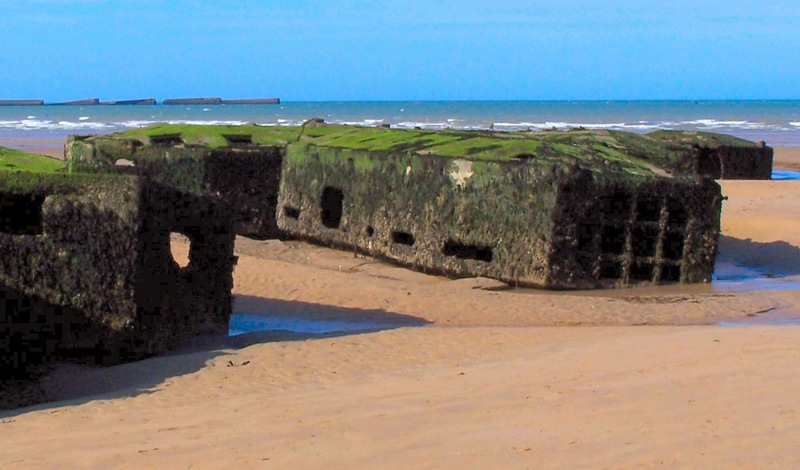 At Arromanches there is also an opportunity to see the remains of the Mulberry temporary harbour built to support the landing operations. Guests then visit the coastal fortifications and bomb craters of Pointe du Hoc and finish with a visit to the very touching Normandy American Cemetery and Memorial overlooking Omaha Beach at Colleville-sur-Mer. Juno Beach Centre in Arromanches in Normandy, France. Uniworld is offering a special river cruise that includes visits to the D-Day Museum at Arromanches near Gold Beach and Mulberry harbour; the Juno Beach Centre dedicated to Canadian forces; and the Normandy American Cemetery and Memorial near Omaha Beach. Uniworld guests can participate in a special ceremony during their visit that involves a wreath laying, the American anthem, and a moment of silence. 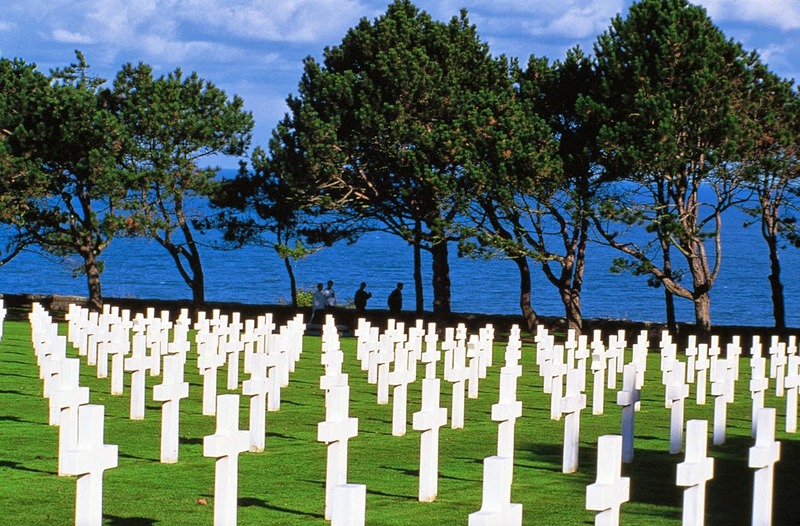 Viking’s Normandy itinerary incorporates a full-day tour to the historic beaches of Normandy. 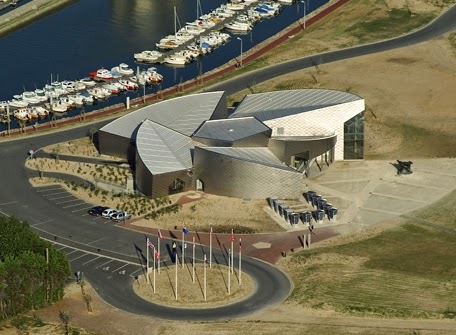 Guests will drive past Gold Beach, Courseulles sur Mer and Juno Beach on their way to visit World War II landmarks such as Omaha Beach, the American Military Cemetery and Arromanches’ D-Day Museum. Are you going on a Normandy cruise this year? If so, why not let us know about it and join in the conversation.